"You do the same thing every day. You know exactly where you're going. You're not alone... When Zoe Walker sees her photo in the classifieds section of a London newspaper, she is determined to find out why it's there. There's no explanation: just a grainy image, a website address and a phone number. She takes it home to her family, who are convinced it's just someone who looks like Zoe. But the next day the advert shows a photo of a different woman, and another the day after that. Is it a mistake? A coincidence? 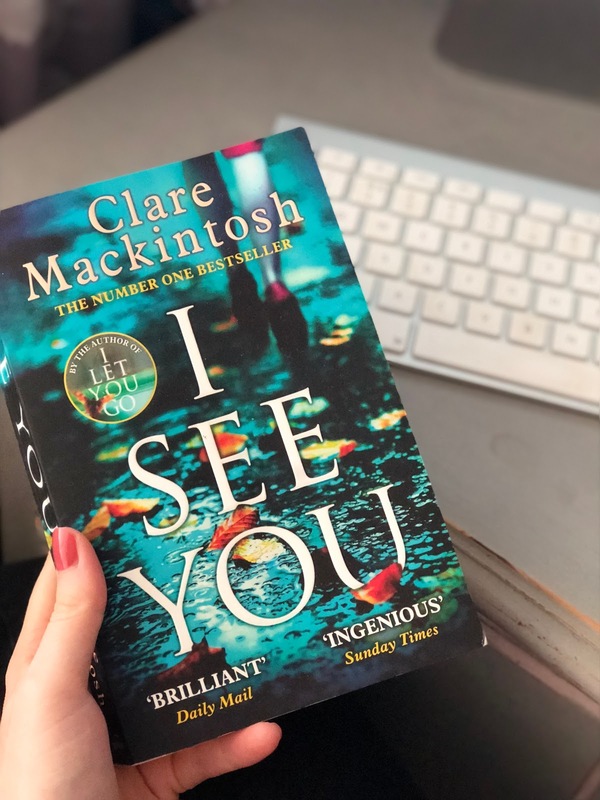 Or is someone keeping track of every move they make..."
This novel is a crime thriller and is written by Clare Mackintosh, it was published in 2016 and I think is one of my favourite books I have read in a long time! I was completely gripped the entire way through and wanted to keep reading to find out what happened. The book has 3 different narratives, the first is from a mum called Zoe who has two teenage kids, the second is Kelly a policewoman who has a trait for always breaking the rules and the 3rd is a snippet into the person behind everything. What I love is that the book is so relatable, how many of us will follow a certain routine, drive a certain way everyday, stop at the same local shop, catch the same time train. The book essentially is talking about how vulnerable you become when you become predictable. The main plot follows Zoe and Kelly's hunt to find whoever is placing the newspaper ads and to stop them before it goes too far. I found this book in my local supermarket as there was a charity stall raising money and this just caught my eye and I knew as soon as I read the blurb it would be a book that I loved! There are moments in the book that made me quite jumpy and on edge, especially since I was home alone. There was tension in all the right places and the suspension was kept throughout the entire novel. I would highly recommend this book, the ending was absolutely incredible and one that I did not see coming at all, I was convinced I knew what the ending would be but boy I couldn't have been further from the truth.... they always catch you out don't they?! What I love about this book in particular is that the Author Clare actually used to be in the police force herself and so I feel like this book reflects on that and truly captures the reader from the start. Have you read any of Clare's books before? Would love to hear your comments below! Hi Gemma! This book sounds fascinating, I do love a good crime thriller too. I like the sound of the relatable plot and it does seem quite thought-provoking as it highlights issues that any of us could potentially have to face. Supermarket charity book stalls are full of surprises!